Technology developer Sony Corporation has announced that they have developed a new mobile biometric sensor called Mofiria. 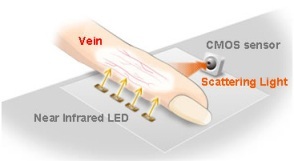 The Mofiria is an infrared vascular scanner able to authenticate via the unique vein patterns inside a user’s finger. 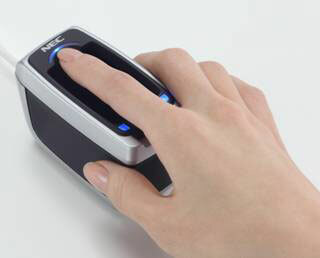 It is also designed to be able to be mounted to a number of mobile computing devices for embedded biometric security. In addition to vascular scanning being considered harder to fool and more reliable than a fingerprint scanner, Sony’s new scanner also is able to adjust for finger placement so that a user doesn’t need to rescan if their finger isn’t quite in the same position as the sample they registered with. Sony reports that the new device sports a false rejection rate of less than .1% and a false acceptance rate below .0001% and is expected to be commercially available some time this year.